2008/12/30A Thousand Wishes for Two Thousand and Nine! Enjoy New Years Eve and all the best for the next year! 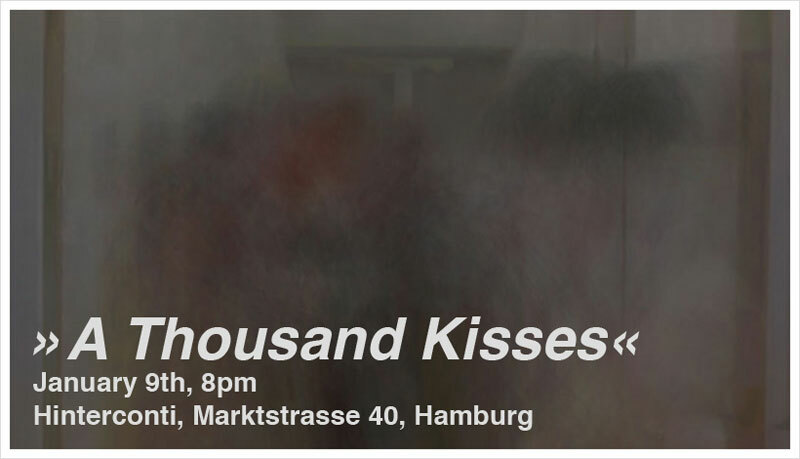 The installation »A Thousand Kisses« will be shown at the Hinterconti in Hamburg in the new year. A glimpse of kisses from famous movies, presented in stills, sounds and film. Read the whole article: A Thousand Wishes for Two Thousand and Nine!. 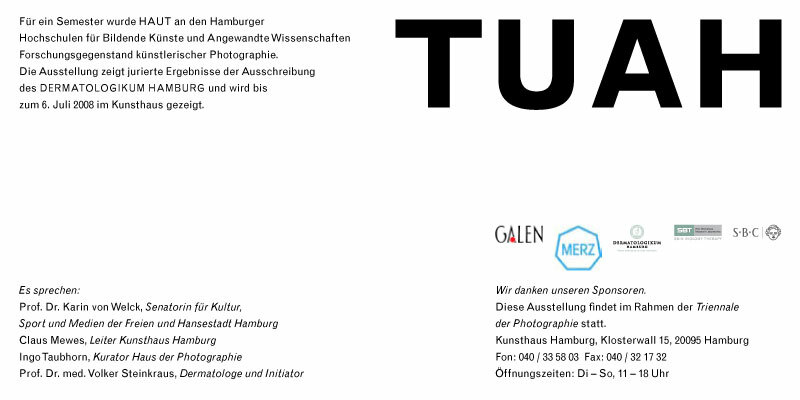 »A Thousand Kisses« will be on display at the Contemporary Art Ruhr, Autumn session. Read the whole article: »A Thousand Kisses«, Contemporary Art Ruhr. 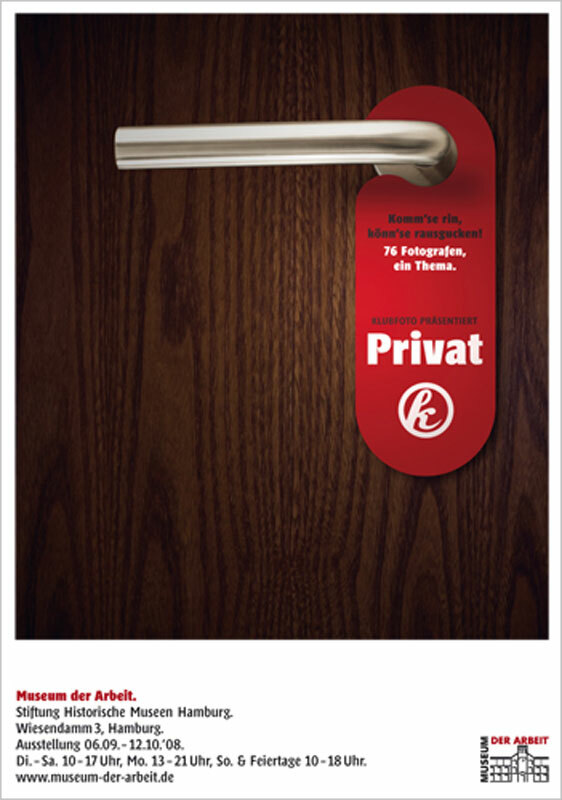 Klubfoto “Privat” is part of the 3rd Month of Photography in Berlin and will be shown at the Uferhallen. Read the whole article: Klubfoto »Privat« at Uferhalle Berlin. 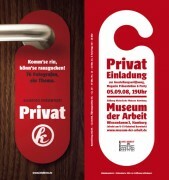 The Klubfoto series “Private” will be exhibited at the “Museum der Arbeit” in Hamburg. Klubfoto is a forum for contemporary photography founded in 2002. Each exhibition is treating a abstract word which becomes the topic for the invited photographers. Read the whole article: Klubfoto »Privat« at Museum der Arbeit. 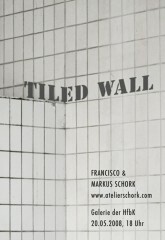 »Tiled Wall« will be shown at the famous Zollverein Essen during the Contemporary Art Ruhr 2008. Read the whole article: »Tiled Wall« at the Contemporary Art Ruhr. 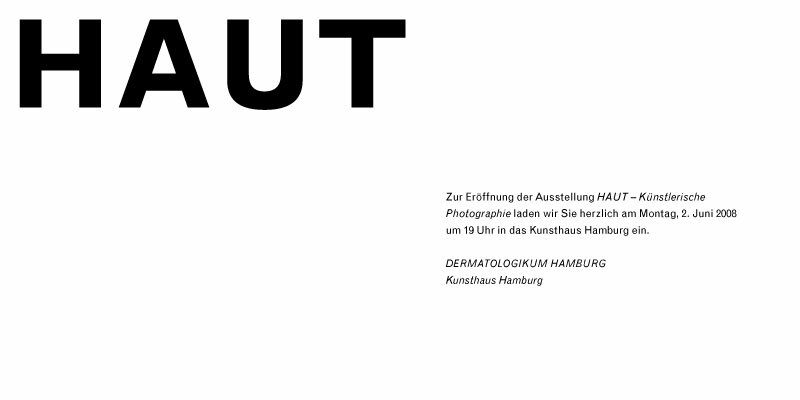 Selected to participated at the Haut group exhibition at the Kunsthaus Hamburg. The show was curated by Ingo Taubhorn and financially supported by Mr. Steinkraus. Read the whole article: »Torso/Skaliert« at Kunsthaus Hamburg. Tiled wall, a photographic installation relocating a corner of a tiled wall originating from Shoreditch London, will be presented at Fotofolgen. 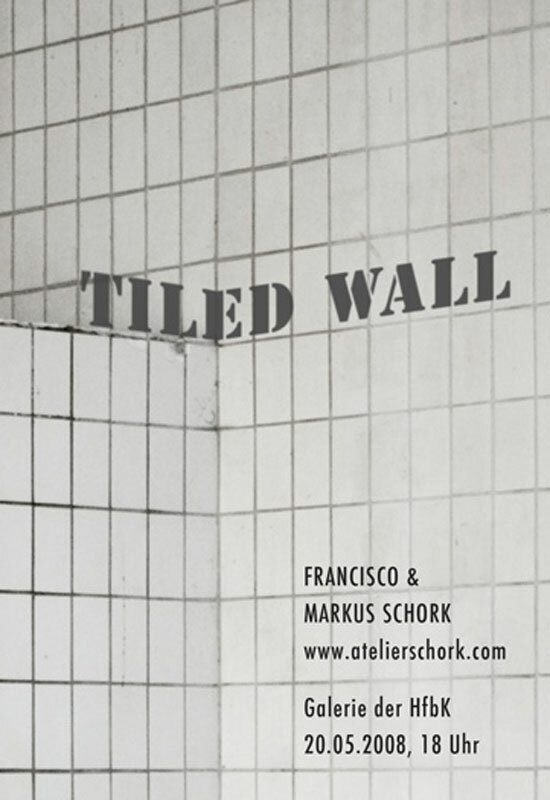 Read the whole article: »Tiled Wall« at Fotofolgen. 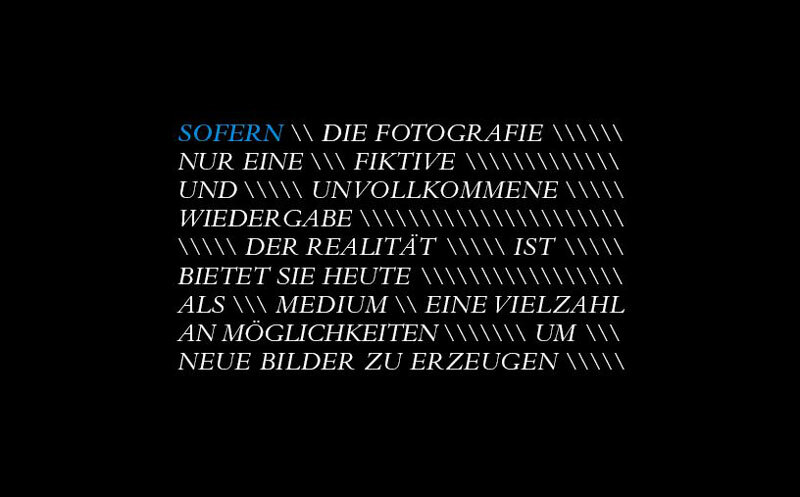 Participation at the “Sofern” exhibition at Frappant with two images dealing with resolution, decomposition and dissolution. All three terms are called “Auflösung” in German. Read the whole article: »Auflösung« at Sofern.